For many, teaching English abroad is a lifelong ambition – whether you teach in the UK and want to try furthering your career in a new country, or your love of travel and helping communities is your priority. English is the most studied language in the world, and with nearly 20% of the world’s population speaking English but only about 24% of those being native speakers, there are plenty of opportunities to teach the language across the globe. Here’s our guide to everything you need to know to turn your dream of teaching English abroad into reality. The first step in realising your ambition to teach English abroad is to research which qualifications you need. The qualifications required to teach English around the world varies from country to country, and can rely on qualifications you already have or subject specific courses like TEFL (Teaching English as a Foreign Language) or TESOL (Teaching English to Speakers of Other Languages). Some countries, like most European areas and the Middle East, require a bachelor’s degree or equivalent, whereas others will accept applicants who have completed a TEFL/TESOL course but may not have any other higher education or experience in teaching. Some teaching programs include on-the-job TEFL/TESOL courses so you can gain the qualification while teaching, and are available to students both pre- and post-university. Experience is often not needed if your qualifications are up to scratch, and certain countries will be more likely to employ first time teachers, straight out of study or with no prior experience. Volunteering is a great way to get your first taste of teaching English abroad. It requires no prior training or experience, and is available to anyone over the age of 18. Internships are another great way to get started in a career teaching English if you don’t have a degree, such as our excellent internship program in China. What is required is a strong command of the English language. As such, some countries especially look for native English speakers as preferable applicants for paid teaching roles. Teaching English abroad is a fulfilling experience and a great way for you to immerse yourself in other cultures, see amazing parts of the world and help local communities. While anyone can get involved in volunteering, getting your qualifications in place is the important first step to achieving your goal if you want a career in teaching English abroad. What Kind of Role Do You Want? First, consider what you want to get out of your experience. Is it to make money, help others, or further your career? There’s no reason why you can’t do all these things in the same placement, but it may come down to your qualifications. If you have a degree and a TEFL qualification, you’re able to become a paid teacher in many countries. If you don’t have a TEFL certificate already, look for a course where you can gain the qualification while you work, and if you don’t have a degree, a volunteer placement could be for you. If you’re taking a gap year or career break, are looking for a fulfilling way to travel to somewhere amazing and help the local community, there are volunteer programs across the globe. 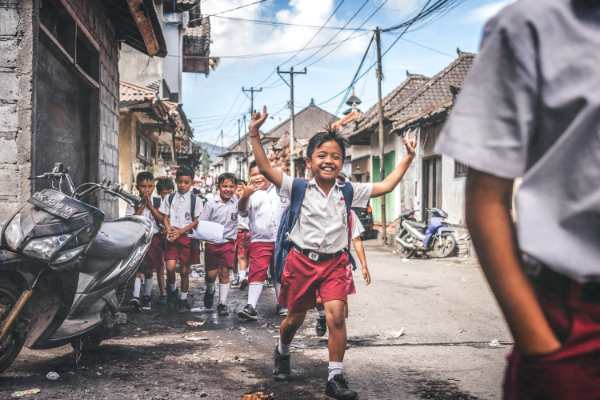 These trips are an inclusive experience where you can improve your teaching skills, tick another place off your bucket list, and make a valued contribution to local and often under-privileged communities. Our volunteer programs include empowering women in Nepal by furthering their career prospects through the English language, helping the poorest children in South Africa, Romania or India, and teaching novice monks in Laos the English basics while immersing yourself in the Buddhist way of life. The final choice on location may come down to what type of role you’re seeking, and what your educational background is. If you want to volunteer, there are options right across the globe, so you can pick a great location off your bucket list to start your adventure. If you’re looking for a paid role, certain countries have different requirements for their teachers in terms of qualification and experience, so this will play an integral part to your decision on where you go to teach. However, there are some amazing countries that don’t require a degree or higher education qualification – TEFL list their top 5 as Costa Rica, Cambodia, Russia, South Korea and Italy, so you can be taken as far afield as you like, with no further education behind you. Proximity to your home country if frequent travel is likely and whether this cost is included in your wages. Here’s an overview of what each region looks for in their English teachers. The cost of living is low in most of Asia and wages are usually relatively high, so your enjoyment and quality of life during this experience can be the best on offer. English-teaching roles in countries like China and Thailand can include benefits such as accommodation and airfares, along with cultural lessons like calligraphy, Tai Chi and Mandarin in your free time. Degrees are required for most English teachers in Asia, but some positions can also include on-the-job TEFL/TESOL qualifications, so you can complete your study, start teaching and immerse yourself in this beautiful culture all at once. Experience is not necessarily needed to secure a great role either, making Asia a popular destination for native English-speaking teachers, whatever their background. Latin American countries, like Mexico, Chile and Peru, often offer positions to individuals with little or no experience, so are a great place to start your career once you have your TEFL qualification. Locations across Latin American countries vary in what they offer, from vibrant cities to quiet towns, mountainous peaks to sandy beaches. Our Chile teaching project is the perfect place to teach and also learn some Spanish yourself! Cost of living is low, so the money you earn means you can make the most of the experience. These countries are an attractive place to start your teaching journey, especially if you already know some Spanish to communicate with the friendly locals. Teaching in Europe is a great idea if the draw of cultural history, seasonal weather and a short flight back to the UK are important factors to you. Europe has some of the strictest rules for their English teachers in terms of qualifications and experience. They often require a degree and some experience before offering a contract, and native English speakers and British or European citizens are generally preferred. Saying that, there are often more opportunities in certain Eastern European countries, such as Ukraine and Czech Republic for non-native English speakers, and those without higher education backgrounds or years of experience. The same goes for Italy. 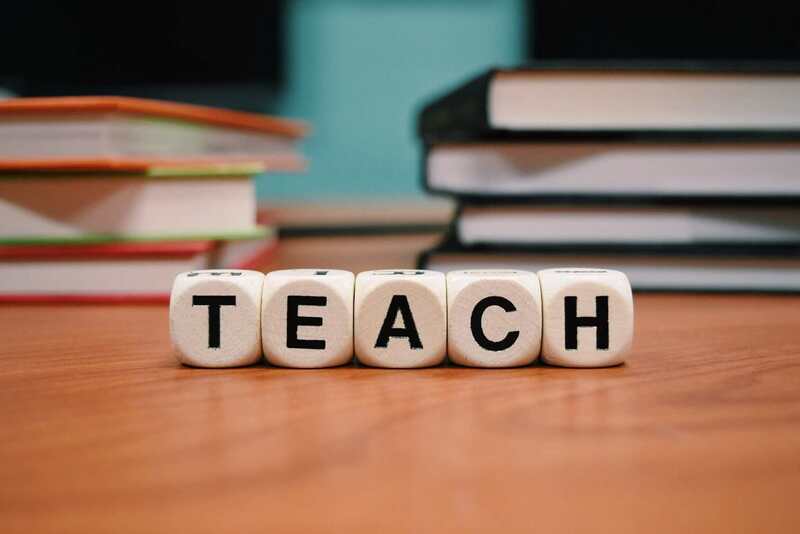 Due to the higher cost of living in Europe, teaching English isn’t necessarily as lucrative as in other areas, so this is a factor to consider too. Countries in the Middle East are particularly attractive if you’re looking to make good money, as it’s the region that pays the highest. However this is countered by the requirements of higher education, usually at least 3-4 years’ teaching experience, along with a TEFL qualification, as most of the positions are in universities as opposed to teaching younger children. If you have the qualifications and necessary experience, you could expect to earn up to double what you would in Asian countries, tax free, with housing and airfares included. But lifestyle and cultural differences can make it a difficult place to settle. To break down countries’ requirements further, you can download a chart of countries and their requirements online. Once you’ve decided where you want to go and whether your background education is sufficient, the next step is to decide whether you need to complete a TEFL or TESOL course. Both are globally recognised qualifications for those wanting to teach English abroad. 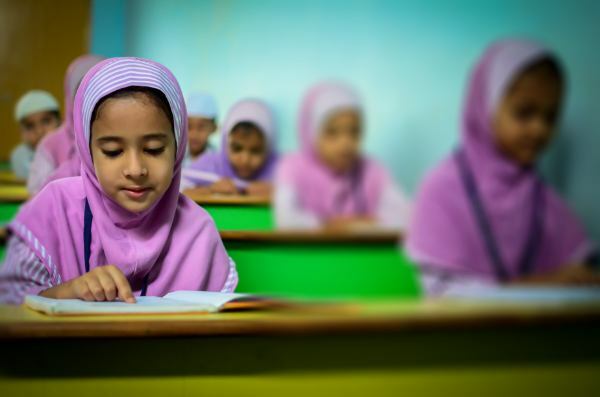 TEFL courses are focused towards English grammar, whereas TESOL prioritise improving communication and spoken English, which is especially useful in Asian countries where student’s written English is often of a higher standard than their spoken. If you’re a licensed teacher or have a degree in education, it won’t be necessary – your experience and background will be enough to secure a great role as an English teacher abroad. If you need to obtain a TEFL qualification, there are two course formats – online, or classroom based, also known as ‘onsite’. The online TEFL course has a 12-week schedule to work through at your own pace and in your own time, and requires 100 hours of training to be completed as a minimum. All work is completed remotely, with webinars and online tutoring available, thus making it a cheaper course to complete. The online qualification is only accepted in Asia and Latin American countries. The onsite TEFL course is accepted worldwide and is a more personalised course, taking place in an intensive classroom format. This course is more expensive but will open more doors to you if you’re considering teaching English abroad as a long-term career. If you’re looking for a paid teaching position, completing a specialised TEFL course to further your qualifications will make you a standout applicant – this could be a specific course for teaching young learners, for example. Some roles won’t require you to complete a TEFL ahead of time, and will include the coursework alongside your teaching placement, such as our TESOL course in Thailand or TESOL course in Vietnam. Completing your TEFL/TESOL course in the country you want to work in is a great advantage, as you’re physically there once qualified to network and get a job straightaway. With so many English teaching positions available around the world, finding a job can be overwhelming. Thinking about where you want to go and what type of teaching you want to do when you get there will narrow down your options. Once you know what you want to do, you need to find a position – and make sure you look like the best applicant for the job. Making a specific TEFL resume, highlighting your experience, qualifications and any specialised courses you’ve completed is the first step to securing your dream job of teaching English abroad. Along with your employment history – if you have one – and education background, make sure you highlight any volunteer work or unpaid experience you’ve gained too. As part of the TEFL course, you’ll be offered ongoing support from the TEFL network, which can be an invaluable resource. TEFL job boards are a great way to find open vacancies to apply for. Once you’ve applied for your dream job, get ready for the interview process – this will often take place over Skype or other online video call platforms, unless you decide to travel to the job location ahead of time. This can be a risky and expensive exercise if the role is not guaranteed, so you could suggest an online interview as a first step. As you would for an in-person interview, take a video interview seriously, dressing smartly and being prepared. Make sure your internet connection is good quality and your location is quiet and will allow you to focus and look professional. Remember to clarify the exact time of your interview in both your and your interviewer’s time zones beforehand to make sure you’re ready – and yes, this might mean getting up and ready in the middle of the night! Once you’ve nailed your interview and been offered the role, read your contract carefully for all the important bits like visa requirements (if needed), holiday allowances, accommodation or airfare inclusions, and any other necessities, such as contract extensions if things go well or penalties for early exit if it doesn’t work out. When that’s all arranged and confirmed, it’s onto the fun bit… Making travel plans! You’ve done the research, completed your qualifications, and secured your role. Now it’s time to make your travel plans. Getting your flights booked and making your plans concrete is an exciting time. If you’ve decided on a volunteering experience or one of our teaching and training programs, check the school term times in your desired location to make sure they’ll be in action when you’re free to go. We’ll make sure you’ll be there at the best time of year to fulfil your ambitions for your trip. With our volunteer programs, the airport pick-ups, transfers and accommodation are usually sorted, so all you need to do is get there on time and with a bright and positive outlook, ready to make a difference. If you’re heading out to a paid teaching placement, we can help you book your flights to make sure you stay focused on the job in hand. Look to arrive in the country of your placement at least a few days before your job starts, to give you time to allow for any delays with connecting flights, get over any jet lag, and get orientated in the local area. You’ll want to be feeling fresh as a daisy for your first morning in the classroom. If you’re dreaming of a brilliant new adventure teaching English Abroad, speak to Oyster Worldwide’s amazing team today to discuss your options and see how we can help you make the most of your gap year or career break.